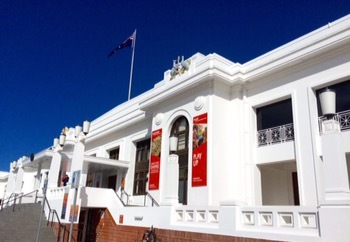 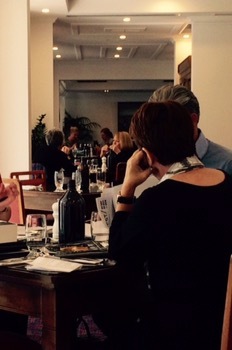 The Hoi Polloi, has a lovely, prime heritage position at Old Parliment House. 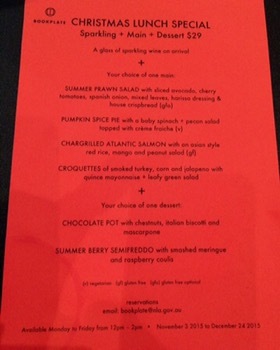 Dining there is a treat. 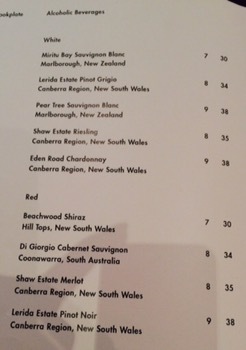 Wine by the glass is well priced. 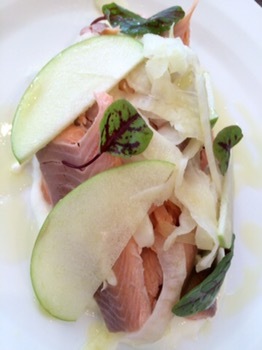 ..with green apple, fennel, red sorrel and yogurt $12 (you can also get a larger serve for $16)…. 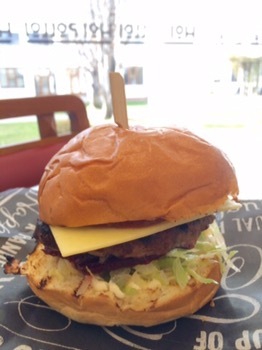 ….or larger bites like the Hoi Polloi Burger $19.50 on a mik bun with pickled beetroot, cheddar cheese, pineapple and fries. 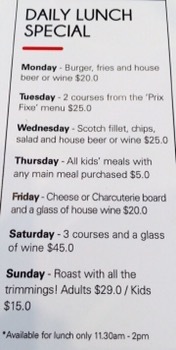 There’re also daily specials worth checking out like Fridays Cheese or Charcuterie Board and a glass of wine for $20. 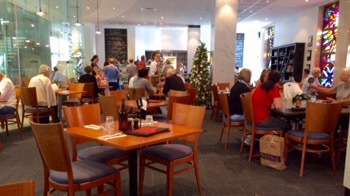 Open daily for lunch 11:30-2:00pm. 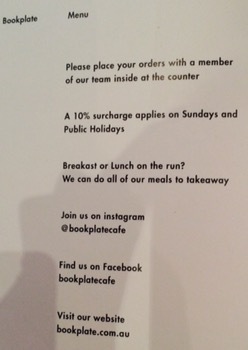 Bookplate is a popular spot for lunch (served 12-2pm) that’s close to major Canberra tourist attractions. 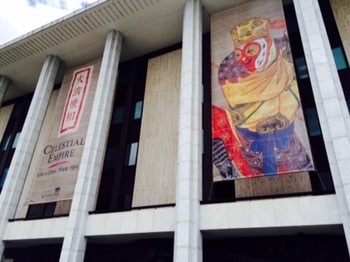 While it gets busy on the weekends, weekdays it’s quieter (although parking can be tight). 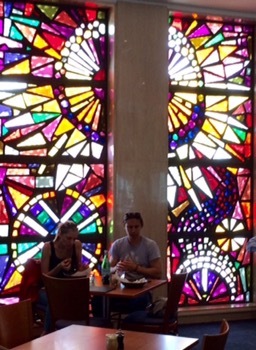 Choose between a shaded table outside with a great view of the lake or an indoor table where you can admire the Leonard French stained glass windows. 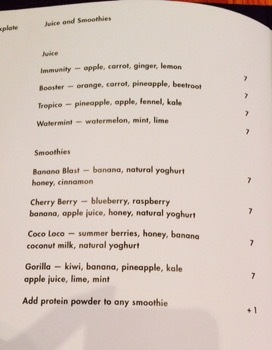 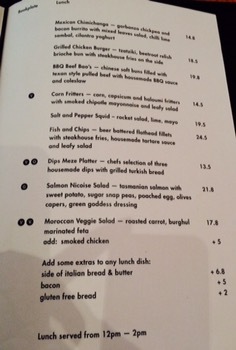 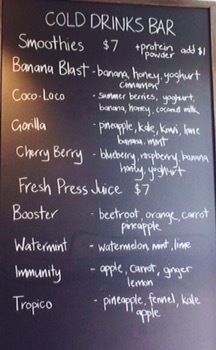 The full menu has a range of interesting choices. 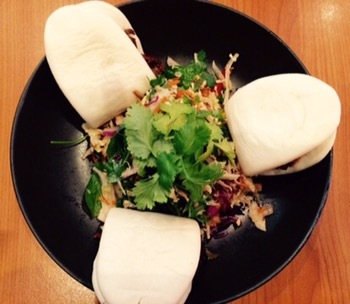 These include the BBQ Beef Bao’s $19.80 – chinese soft buns filled with texan style pulled beef with housemade BBQ sauce and coleslaw…good flavoured beef, but the coleslaw is fairly plain and the bun a little tough. 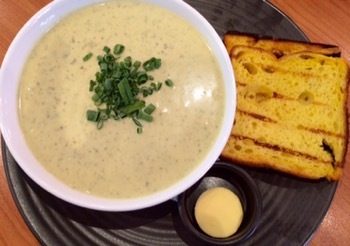 …and a Cold Zucchini Soup $12.50 with mustard seed and mint (but also a bit too much cream). 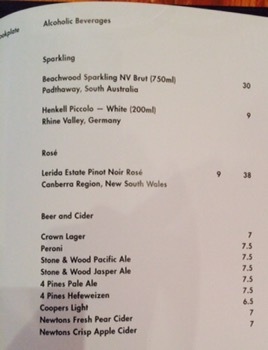 Wine by the glasses starts at a reasonable $7. 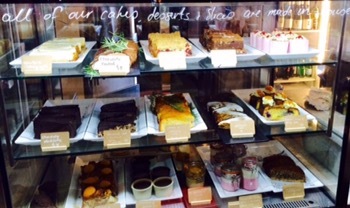 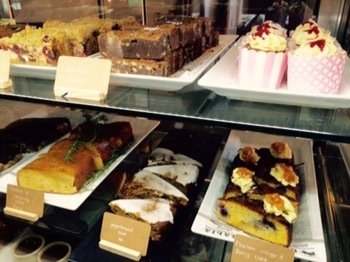 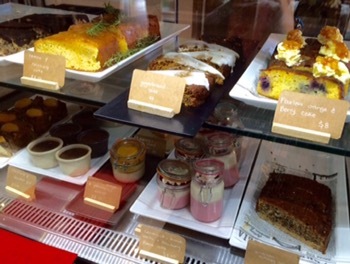 There are still some very tempting, made in house, cakes and slices on offer…. 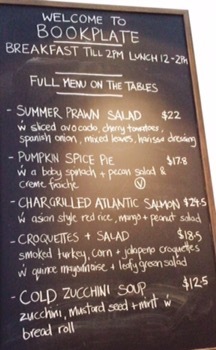 …but just before Christmas you could also combine a dessert with the Salmon in a very good Christmas Lunch Special for $29 (good for sharing between two with an extra glass of wine). 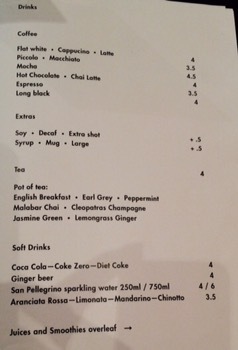 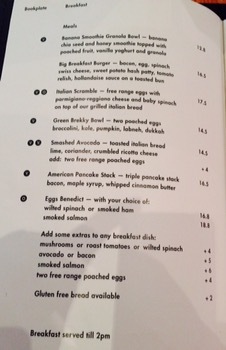 And don’t forget to check out options on the breakfast menu that are served until 2pm.